RomShelf is a straight forward emulator front end - a menu system for launching emulators. I couldn't tell by looking at the page. It is a menu program for launching games in emulators. Most emulators only have a command line interface or simple file dialog for loading games. This gives you a nice interface where you can see a screenshot of the game before you play it. You can launch multiple emulators from this menu system so it unifies the interface. You can operate this menu with just a joystick so it is suitable for use in a home theater pc or custom arcade cabinet. I need to make a video that explains everything. I'll have to give it a try sometime. Though my SNES emulator is fine, this is pretty sick. I might give it a try. How about you send out a release for the roms available; none of the games actually work. Alex this is a front end, not an emulator. You need to configure it to use whatever emulator you want. I don't get it, what you're telling me in my mind is to configure Romshelf to run off zSnes or whatever I use to play games. Do you have an email or any other contact info? I would like to help you improve this cool little frontend but there is no contact info on your site or even a forum. I have good idea why, but I see potetial in this and have a few suggestions to shape it up a little. I always wanted to make a multi-emu frontend myself but have no coding knowledge at all, I was even thinking about makin one in Flash when I get the guts to learn it because I've seen it done in Flash before. I also do graphics so I could help on that end. thecloudofsoke.deviantart.com has some old stuff that I've done in the past, though nothing recent. all this does is provide a gui to launch an emulator (zsnes) and the rom to go with the emulator,effectively launching the emulator and game at the same time. this is "NOT" an emulator itself. It's like media center software but instead of music/movies, it's for executing roms through emulators through a list as opposed to loading the emulator manually, then loading the rom. It makes playing older games much less annoying by having everything setup to load quickly with a nice GUI. I'm surprised you haven't heard of Hyperspin. Been using that for a long time now, lots of support, pretty much the same thing. ROM Shelf is great! Been running it on my media center PC now for awhile. Just wondering though, can i run PC games from this bad boy? I every time I try, it ignores my .exe file saying it's a "crap ROM" ?? Any idea as to what I'm doing wrong? I setup all the other emulators and such just fine... but I can't get PC based games to load. Also, do you plan on updating ROM Shelf? I have some ideas as well. It seems not many people know about this yet either, I can make some posts and send some more traffic your way. It's really a good front-end, and easy to set up compared to others I've messed with. >can i run PC games from this bad boy? The display name of the each game will be the name of the subfolder it is in. This is one of the main things I use it for so it should work. I actually rewrote the rom list functions to use a sqlite database and it's a lot better so I should probably upload a new version. Thanks!! Works great! Will be looking forward to the new release. By using a sqlite database, does that mean if a ROM isn't in the database (Say a ROM hack) that Romshelf wont recognize it? Also, I have a full-set of Mame ROMs. Is there a way to keep ROM shelf from displaying all the clones of various games? or displaying games that simply dont run? >By using a sqlite database, does that mean if a ROM isn't in the database (Say a ROM hack) that Romshelf wont recognize it? No, the changes only affect how the list of roms and ratings is stored after it is generated. In version 1, the list of roms for each system is stored in a plain text file and then loaded into a huge number of script variables. The problem with this is that 1. reading and parsing huge text files is slow and 2. there is a bug in the torque script engine where if you have a huge number of variables it will randomly forget about some of them. Switching over to the sql database fixes both of these problems. >Is there a way to keep ROM shelf from displaying all the clones of various games? v2 parses the xml dump from the mame exe to remove non-working games, clones and can optionally remove games that require various custom control schemes (ie lightgun, dial, keyboard, etc). There is also a custom clone list that I made because the internal mame data is inaccurate in some cases. Cool, I've got a new media Center PC on the way... should be here in a few days. I plan on doing a whole new configuration starting from scratch. I'll give version 2 a go on that PC. Suppose I want to update my other Media PC with version 2... do I have to delete everything and start over? Or can I just import certain files over from V2? Also, I was curious as to what you use for your Sega Saturn setup and if ROM Shelf has a way to detect virtual drives. I use SSF, but due to it not loading .ISO files without mounting them first, I haven't configured it within ROM Shelf. So does has anyone got SSF or another Sega Saturn emulator working in Romshelf? Badspot, Is there a way to get ROM Shelf to recognize any of the video snapshots from Emumovies.com?? Or might a future version of ROM Shelf be able to do this? I have complete sets I'd like to use with ROM Shelf. I'm having trouble downloading ROMSHELF from your site. It DL's around 2MB and then quits. Is there any other way I can get that file? I can paypal some cash of that would help. New issue, Can I turn off the "craprom" filter, its filtering out a few of my roms that aren't crap. like one of the zelda's. works fine tested it though. >I'm having trouble downloading ROMSHELF from your site. I am not having this problem. >New issue, Can I turn off the "craprom" filter, its filtering out a few of my roms that aren't crap. like one of the zelda's. What are the exact file names that are being filtered? -config nullDC:Emulator.Autostart=1 -config ImageReader:LoadDefaultImage=1 -config ImageReader:DefaultImage="[ROMFILE]"
Just discovered this frontend, would like to say I enjoy it very much - Is this still being updated, I'd love to see a version that plays video snaps, otherwise, thanks! Just wanted to take the time to tell you how awesome Romshelf is! You've breathed new life into my HTPC and I find myself playing my emulators much more than before since it's so easy now. I though about using Hyperspin but it is WAY too complicated and I don't have that kind of time to be tinkering with a frontend. I just wanted to setup and go... Thanks! First off, I want to say that Romshelf is awesome. After searching for an easy to use frontend, I was so happy to find RS. So far, it works pretty dang well! Buuuuuuuuuuut, I do have a problem or few. So far only my SNES emu (I use snes9x) is the only emulator that will load along with the selected rom. My other emulators (KEGA Fusion (for Genesis and 32X use), Model 2, WinKawaks for Neo-Geo, VirtuaNES) will load via the frontend, but the rom selected won't be loaded as the emu starts up. Anyway to fix this? Should I use different emulators? Any tips will help! Thanks! >Just wanted to take the time to tell you how awesome Romshelf is! You have to make sure the emulators themselves are configured and that the launch parameters are correct. Different emulators have different ways of launching games from the command line. For the model 2 emulator, you need to have the rom folder set in the EMULATOR.INI file and use [ROMBASE] as the launch parameter. Fusion 3.51 works fine for me just using "[ROMFILE]" as the launch parameter, haven't tried the latest version. Don't have the other emulators you mentioned on hand but it'd probably be something similar. Ok! So I changed the launch parameters for everything, and most of the emulators now start up with the rom loaded! However the M2 Emu and Neo Geo emu still have that problem, but I figure that if I keep tinkering around the settings, I'll get em' working! Thanks again! Or for example add a whole new console to the list, say PSP? - Run romshelf.exe -console to enable the developer console. That worked out perfect for me thanks Badspot! Another question I had was that I remember in the first version there was a utility that allowed you to make your own background and layout for the main screen. Is that no longer an option with this new release? Try putting quotes around the parameter like this: "[ROMFILE]"
My parameters look like this. The rom file ".\roms\SNES\D:\My Lair\RomShelf\roms\SNES\King of Dragons.smc" does not exist. I dunno sounds like you're mixing and matching relative and absolute paths and don't have the correct launch parameters. The default launch parameters are for the "mess" emulator. http://badspot.us/img/RomShelf-snes9x.png here is my setup for snes9x. SNES, Genesis, and GBA are all working now. By defining an exact C:/ path for both launch and roms, or by using a relative ./ path for both launch and roms folder, it failed totally. I got it working by leaving the Launch command as a relative ./ path, and making the roms an exact C:/ path. Will delve into Project 64(N64), and ePSXe now I think. Is there any way to force Romshelf to show/play the roms you have, clones or not? There are some games I wouldn't mind being able to play, but the frontend automatically prunes them out. Thanks, this thing is great otherwise, JUST what I was looking for in a frontend! Which roms specifically are being pruned out that shouldn't be? For example, I have 248 NES Roms that I handpicked to use.. it will scan the folder, and say 240 roms found, 4 crap roms ignored, 4 duplicate roms ignored. How do I make it show all 248, regardless of what they are, if that's possible? "Crap roms" are things that are in some way completely unplayable like the game genie bios, untranslated text heavy japanese rpgs or trivia games, incredibly lame homebrew, or mahjong. "Duplicates" are when two games are literally the exact same game except a different revision or region. Maybe take a second look at what roms you have selected and see if anything good has actually been removed or not. If you can't figure it out you can send me your Romshelf/config/systems/NES/dir.txt file and I'll tell you exactly why they've been removed (and make fun of you). Ok, I see what you mean, thank you! The only other thing I wanted to ask, you indicated how to add a system, in my case, an entry for the Sega CD. How do you then add the appropriate system logo for it? I put a .png in the system folder, named after the system, but that didn't seem to do anything. Thank you again for your work on this, and your help! Hey, I've added the GameCube into Romshelf 2 but i can't figure out the command line for launch parameter. I'm using dolphin, and i know that it takes both iso and gcm files but i'm lost on getting them to run. I've just set up rom shelf, and it recognizes my roms and emulators. My problem is that when I click on a rom that I want to play, just a gray screen pops up. I try to launch my NES emulator (nestopia), and I get the error "Can't start! Direct3D is busy"
Fantastic front end! Is there any way to keep 4:3 aspect ratio when running full screen on a 1080p monitor? Basically preserve aspect ratio and have black bars on side of screen. Another question, say I have a game that uses multiple discs, when I load the Roms it says it finds the game, but only shows like the game title, how would I select the appropriate disc to load? I have yet to see an emulator handle this gracefully. At some point you'll have to change discs manually via some windows file dialog so seamless integration with a front end seems impossible. is it possible to launch an ahk at the same time as an emulator with romshelf so that my ds emulator will be in full screen when launched? You could probably make a batch file to do that and use it as the launch command. You'll have to learn how to add command arguments to a batch file. I got stuck at the initial setup for quite a while as I was having the same issues as Kelanor. I figured I'd mention for anyone else that after making the directory changes it may be helpful to Regenerate Rom List. Without doing so, the program was still appending the Dir info, which was making the path duplicate. Having a bit of trouble, launch command line works to launch emulator and roms are recognized and displayed on romshelf list but when game is selected emulator runs without launching the game. Using zsnes emu, possible config of emu wrong? For zsnes, it works for me using "[ROMFILE]" (with the quotes) as the launch parameter. This is using zsnesw.exe version 1.51. That was exactly it, I had to drop the snes-cart and the -joystick from the launch parameter snes-cart"[ROMFILE]"-joystick. Thanks a million, this frontend is just way too damn good for me to just give up on. Thanks Badspot. I found out what is causing the error where it tries to append the ROM directory twice. What causes it is using a trailing backslash. Removing the backslash will correct the problem. For some reason, having a backslash at the end of your ROM directory path causes it to append the ROM directory twice when trying to launch the game. anyone know how to disable the craproms/clones editing the craprom.txt and setting it to read only as mentioned in the pdf does not work. What roms are being filtered that you don't want to be? mp_sor2.zip which is streets of rage II thats the only one i care about. also when i use this command in rom directory .\emulators\Ootake\install\Ys Book I & II (U) i can load ys no problems. all games are put into the install folder, so if i do this .\emulators\Ootake\install\ it recognizes the games but when you try to load any of them it says "cue does not exist" i had this problem with other rom folders in the past. but unchecking include subdirectories fixed it. but not on this one. if you know anything i can do to fix this please let me know. The "mp_" in mp_sor2 stands for "mega play" which is a conversion of the sega genesis for arcade use. I chose to filter these rather than duplicate a huge number of sega genesis listings under MAME. You'd be much better off playing streets of rage on a sega genesis/megadrive emulator. I can't follow your TG16/PCEngine problem. Can you post a picture of your directory structure and romshelf config screen? it seems to be a problem with having to many directory's if you have the rom path set to .\roms\SNES and put the roms in the folder it will detect them but if you put folders in the SNES DIR and put your roms in them. romshelf will say there missing regardless if you have sub dir check marked or not. the only way it will work is if you were to use the full path C:\Users\ggg\Downloads\RomShelf_2\roms then it will detect them. but i choose not to use that, cause if i ever move the file its going to say the path is wrong. with Ootake it rips the cd's to tracks 01 02 ect.. with an iso/cue so i cant put all the rips in one folder or they will overwrite each others tracks. i decided to change to mednafen so i can actually use a bin/cue now. now i can get all the duo games working.. the only thing i have an issue with is getting the screen shots for the turbo graphics 16 cd to show. you had added it as a console but the dir and files craproms defaultConfig. are not there. For some reason when I launch a PS2 or GC/Wii game through Romshelf it causes terrible slowdown in the emulation... however when I launch the same games directly through the emulator it runs perfectly. What might be causing this slowdown and how could I fix it? I dunno, probably some kind of opengl interference, though RomShelf shouldn't be rendering anything when it's in the background. You could try switching to a different fullscreen/windowed mode. Do you have plans to create a Linux version of RomShelf? >Do you have plans to create a Linux version of RomShelf? Is there a way to change the background and/or all other assets? Also, do you plan on releasing the source code? I've used romshelf for a little while now with no issue. .. Then the other day instead of opening into the system selection screen, it opens the options menu like it's the first time is ever run... But there are no systems available to select and the input control options have all been wiped. Help! Does anyone know how to get DOS games to work with Romshelf. I have Windows XP so I don't need Dosbox to run the Games since XP has compatibility mode for DOS. But I can't seem to get it to work with or without DOSBOX. Anyone having trouble with Romshelf should watch me Tutorial here. It is pretty basic but addresses the Issue many people are having with the Emulators launching without the games. The way to get DOSBox to work is to make a .conf file for each game you want to run and use that as the "rom". Launch parameters should be something like: -conf "[ROMFILE]"
I would like to add the Sega Dreamcast to my list but I can't figure out how to open the romshelf console. I read the above instructions but have gotten nowhere. I'm running Windows vista ultimate 64 bit. also I've noticed that my ps1, ps2 and saturn emulators won't open the games. I've tried the "[ROMFILE]" parameter with no avail. All of my cartridge game emulators work like a charm. one last question, when i exit project 64 using the exit emulator key it doesnt save my progress, is this an issue with project 64? Make shortcut to romshelf (if you haven't already); right click shortcut -> properties; add "-console" (without the quotes) to the "target" field right after romshelf.exe; ok; run shortcut; press ~ to open console. The launch command depends entirely on what emulator you're using. You'll have to look at the docs to figure out how to load a game from the command line. The emulator exit key just kills the emulator task - just like hitting alt+F4. So anything that isn't saved already will be lost. If you've already saved to an emulated memory card before exiting, then yeah there is some config problem within project 64. Thank you so much for the reply. You've helped me very much. In the Escape Menu, under the 'Audio' tab, there is checkbox for enabling menu sounds. Does this feature work? I haven't been able to get it working. Does OpenAl have to be installed somewhere for it to work? I'm assuming no because there is the option to pick no audio driver? Hello. You need to make a video showing how to get the EMU and Roms to work :) I already know how to do it but it took for ever. Also No pics for PS2? PS. I must ask the same thing as DinBis. Why is there no sound? Would be cool if there was a sound when scrolling through your Games :) I too have seen the sound box and it seems to do nothing. Am I missing something? Also I LOVE THIS THING!! When you find out how to use it, its a blast to play around with. Thank you! Second Posting - NOt sure if this is the same spot as the first posting I recently submitted. This front end seems awesome. I have only played with it for a a couple of hours, but looks great. I am trying to set this up for a portable usb system and I am not seeing a way to setup the pathways for relative shortcuts or even wildcards "*". I would love any help making this work. Badspot - Romshelf is awesome. I might have missed something, but I'm wondering if the front end itself can run in full screen mode? I'd love to not see any of the windows desktop at all when I have it up and running. Is there an ini or something I can alter to make it bigger? Thanks Crissz, I have tried that and although it finds the Roms during regeneration, it does not load the Rom. It pops an error "Cannot find path .\roms\J:\roms\*GAMENAME*" I am still messing with the settings. My USB is currently pulling drive J: but when I unplug and bring to another device or back to this one, it will get a different drive letter. Is this a ROM file itself? This is a FrontEnd to run an emulator with ROMs. 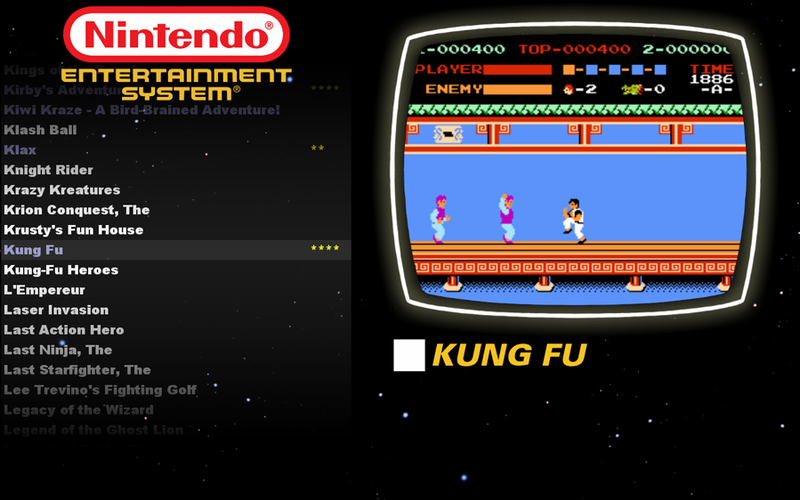 It consolidates the emulator and ROMs into an easy to use "dashboard". ok well i have just formatted the computer. stuck in the usb stick with romshelf, and the drive letter is now i: and it loaded the games fine. something must be messed up with your config path. what windows are you testing this under? i assume its launching the emulator, but comes up with that error on the rom. how many directory's do you have in the rom shelf folder? are you just using the rom folder thats there, or do you have sub folders within that folder. I am just using the Rom Folder that is there. I am working with Windows 7. I can make it work on a single computer, but if I move from my desktop to my laptop (without setting it up prior), it doesn't work automatically. I have about 4 laptops and 2 desktops that I want to interchange the usb without having to install/setup each time I move it to a new computer. I would do it through a script, but I can run it automatically on Windows 7 due to lack of autorun functionality from USB in windows 7. I really appreciate your thoughts on this. are you trying to load cue bin files or rom files? and are the roms just in the rom folder or are the roms in a folder inside that folder? i had issues when ripping iso tracks for turbografx cd games as i had to use different folders per game the scan would detect them but when trying to launch it said it cannot find path. do you have this problem with every emulator or just certain ones? When I close a PS2 game it just leaves a gray screen open and I have to close and reopen ROMShelf in order to function again. Is there a way to fix this? EAGLE TECH when using the .\ did you make sure that both the rom/emulator path have the .\ and not just the rom path.. what a weird thing going on i have mine on linux at the moment. no problems except for certain emulators not working. ill post my settings that i have mine set on. in abit. I'm having a problem with launching Mupen64pp.exe with Romshelf. Romshelf recognizes my 64 roms and lunches mupen64 but dose not load a rom automatically. Any idea what I'm missing? Thanks in advance. never used it before, but you could try [ROMBASE] with and without quotes and see if that works. It still didn't work with and without quotes but thank you anyways for your help. I only tried Mupen64pp.exe because Project64 1.6 would give me an error about Direct3d unable to launch in Romshelf but if I tried launching the game outside of Romshelf Project64 1.6 would run the game perfectly. Thanks again for your help, crissz. "How to fix Project 64 Error" in google you should get a youtube video show up. The problem persists in windowed mode and also when I mess with Direct3d settings. I finally just gave up and installed Project64 2.1 and its launched through romshelf perfectly. Either way, thanks for help in the matter. no problem, i could never get the neo geo rage emulator to launch through romshelf. so i just changed to mame instead. glad you got it working. Can anyone give me a detailed tutorial for adding DOS games. Apparently I need to make a .conf file but I have no clue how to do that. Ok, So I ended up figuring out the whole .conf thing and I have my DOS games working with the front end. I'll probably make a tutorial for it for everyone else struggling with it. Can you make a theme song play during the menu? Or at least have sounds while scrolling through games? That is my next biggest question. If I figure it out. I'll definitely share. I got DOSBOX running successfully with ROMSHELF. Here is a tutorial. DOSBox is probably the hardest system to get working. Especially if you don't know DOS very well. Hi all, love this frontend! ive been using it for a while now but i'm stuck! I can't get the Amiga games to run at all, has anyone out there had any luck with this? I found a bug under windows 7 x64. When recognizing roms in a folder with multiple folders roms get found and listed but when you go to execute file not found error. Solution if to uncheck search sub dirs for roms and put all in one folder. Is this something that could get updated? nevermind fixed...just had to enter full path rather than home dir. Thats what I thought but even after I deleted the file it found crap roms even thought the crap rom file was removed. ill try editing rather than deleting. ok never mind. I dont understand why but this time around deleting crap roms file worked. Must of done something wrong the other night. I love this front end! hey Badspot I was wondering if you intend to finish Romshelf namely adding sound to the interface.I would love to use it for an arcade cabinet I'm making but the interface doesn't play sound effects or have background music as an option in romshelf2. I Hope It Plays Neo Geo Pocket Games!!!!!!!!!!!!!!!!!!!!! correction: none of my emulators are working now! they all have the same problem i reported with nestopia above. help! I love this front end!! I've had a play with adding systems (Dreamcast and Sega NAOMI ect) Is there a way to add the system logo images to the screens? Love your work mate! Hey man, im tryting to use your front end because its fantastic. But i can't seem to get it to work with my emulator. Everytime i try to launch a game it does lauch the emulator but then give me error message: 'file not found'. The emulator i use is nestopia. On its own nestopia works fine (if i load in the roms manually.) But the front end seems to break something? If i can get bsnes to load would be even better, but that basicly gives the same problem, only launches the emulator. Not the game. One more question, is there a way to add a command line that will automaticly trigger the emulator to open in fullscreen? Im trying romshelf. in SNES i have no crap roms file. TEST DRIVE II - The Dual gets removed as a crap rom due to containing the word test. Is there a way to turn off crap filtering? It seems that clearing game pad controls from Romshelf is impossible. For "Up" & "Down" I have the controls set to just my keyboard's up and down keys. Despite this I can still scroll through Romshelf with my game pad. This poses a problem since I use joytokey. Every time I use the d-pad to scroll up or down it scrolls through 2 entries at a time. Is ther a delete command?possibly delsystem? I'd love to use RomShelf for my cabinet but it hard crashes my computer after waking from sleep. It momentarily works, then blinks, then I need to hold down the power button for ten seconds and restart before I can use the computer again. Obviously that's unacceptable. Is there some kind of troubleshooting I can try, like turning off hardware acceleration or something? I ended up using an app called Power Triggers to kill romshelf and all emulators before going into sleep mode - annoying but not world-ending. I have a different question now, how do you set up Windows Roms? Ive tried using [ROMFILE] as the launch command, which works if you have an EXE file in the romshelf roms\windows dir, but not a batch file and setting c:\windows\explorer.exe as the command which works for everything but returns to romshelf immediately without waiting for the program to finish. What am I missing? Is romshelf just broken for Windows apps? In case anyone else ever wants to get Windows applications working in romshelf, here's what I did. Since I happened to have Cygwin installed on my cabinet, I used the cygstart application which is basically a built-in version of the cmd.exe start command. By setting the launch command to c:\cygwin\bin\cygstart.exe and the launch parameters to -w "[ROMFILE]" I was able to start any kind of executable, script and most importantly .lnk shortcut file from RomShelf just by adding .lnk into the Rom Extensions field. With that setup, everything works the way you'd expect it to and installing Windows game in RomShelf becomes as simple as dragging a shortcut and a screenshot into their respective directories and hitting the Regenerate Romlist button in romshelf. Hope this helps anyone seeing grey screens while trying to make Windows apps work. Romshelf has started crashing without any error message when I hit regenerate roms list in the Mame configuration section of Romshelf settings. Because there are no logs or error handling of any kind, I expect this is impossible to debug and that the author will just blame me for "holding it wrong" or something. So annoyed that I've wasted a week setting this thing up only to have it blow up in my face without any way to debug. Is there a way to turn off crap rom filtering for Atari 2600? I'm missing 9 games, and I handpicked them. @badspot is my test problem normal? Hello there. I'm searching for the creator of this front-end, are you the one? I wanted to know if it'll have any more updates. this what i have in my mind for now. I come across your front end because i was looking for a simple frontend like emulation station on pc because i failed to make Amiga games working from within the front end it self.